When selling a home, finding the right agent is half the battle. Unfortunately, too many sellers make the mistake of choosing an agent based on two things – the lowest commission and the highest asking price for the home. Don’t take chances. Here are some tips on choosing a seller’s agent. Every agent is unique – when hiring one, it’s important to look at their credentials. First of all, find out if they’re licensed in Hawaii. Ask them if they are a member of the National Realtors Association (NAR), which requires agents to observe a strict code of ethics. Find out if they have any certifications that are relevant to your listing. As a seller’s agent, I, Gregory Burns, am one of Hawaii’s top producing agents. I’m also an Accredited Luxury Home Specialist, helping top-tier sellers achieve their real estate goals. Call me at 808-214-0302 or send an email to Greg(at)IsleLuxury(dotted)com. You can always start your search online – any agent worth their salt will have a strong online presence. Read reviews from previous clients and take a good look at their listings to see if they can competently promote your property. If you can’t find an agent online, ask friends, family, and colleagues to recommend agents they’ve successfully worked with in the past. Their vote of confidence can help put you at ease. Agents won’t be able to tell you exactly how much the home will sell for. But what they can do is present you with a list of recent sales and comparable sales in the neighborhood in order to come up with the list price. Be wary of agents who suggest unrealistically high list prices – always ask for numbers and data supporting their claims. If they are unable to show you statistics, or if the home sales and comparable properties they show you are from a different neighborhood, take it as a red flag. Ideally, the listing agent will give you a price range, usually with a $10,000 spread between the highest and the lowest amount that your home could sell for. There are many factors that help them determine this price range, including location, home improvements, and market trends. The best time to get an offer is within 30 days of putting your home on the market. If you and your agent have priced the home correctly, you can expect to get an offer within this timeframe. Listings agents rely heavily on marketing in order to sell a home. So before hiring an agent, make sure they have the resources and connections needed to give your property maximum exposure. An agent who works with a large real estate brokerage will likely have in-house marketers and administrative staff to help them execute marketing campaigns. 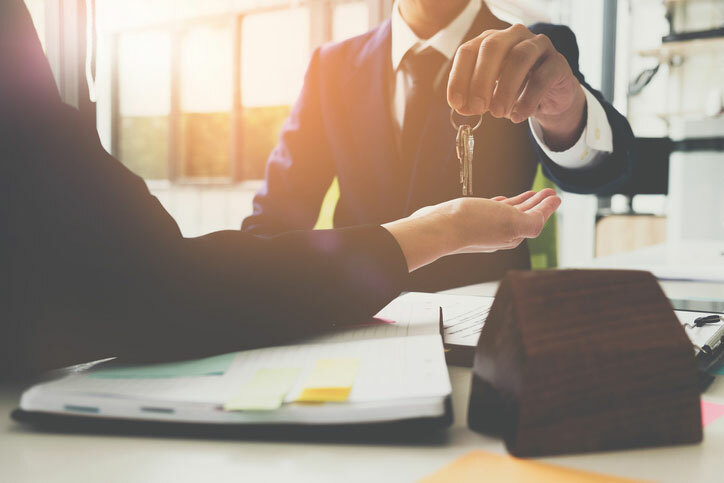 Likewise, agents who work for boutique real estate companies are likely to have deep connections in the community, making it easier for them to find qualified buyers. Before hiring a listing agent, ask questions about their marketing plan, and find out how they intend to sell your home. A solid marketing campaign usually includes distribution of the listing to major real estate websites, digital marketing, home staging advice, at least two open houses, updates on the neighborhood, feedback on buyer showings, and more. Selling a home takes a lot of time, and listing agents are often required to work outside of regular business hours. Hire someone who has a team or an assistant, since this eases the amount of work that the agent has to deal with, giving them more time to do the actual work of selling your home. It comes down to how much time they can spend taking care of your needs. If you’re looking for Maui Realtors, check here for more information on my services as a listing agent.